Guys. 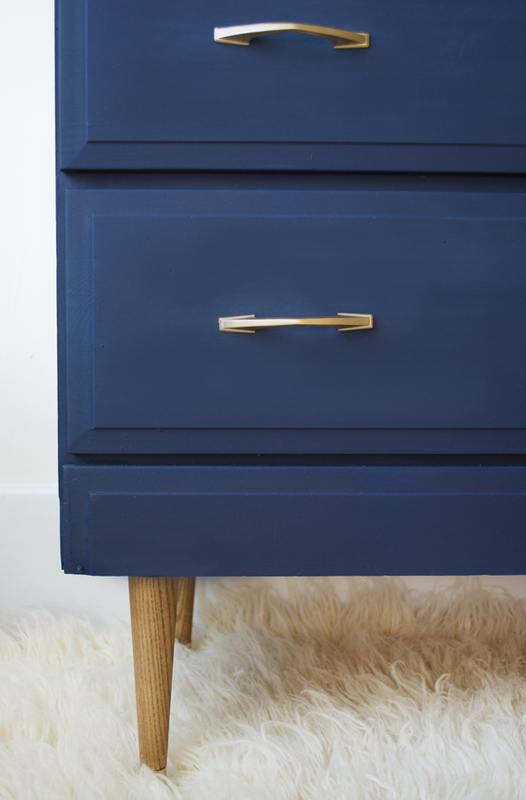 This might be my favorite furniture makeover yet. And it almost never happened because I almost didn’t see the potential in a terribly awful curbside piece of junk. But luckily the hubs was there to set me straight and remind me that it’s free so why the heck wouldn’t I take it. I picked it up just after we moved into our new place last August. (yes this makeover has been a long time coming. Don’t judge, I was busy growing a human). It sat in our basement for a super long time until I was finally ready to give it some love. Which ironically was when I was about 8 months pregnant. 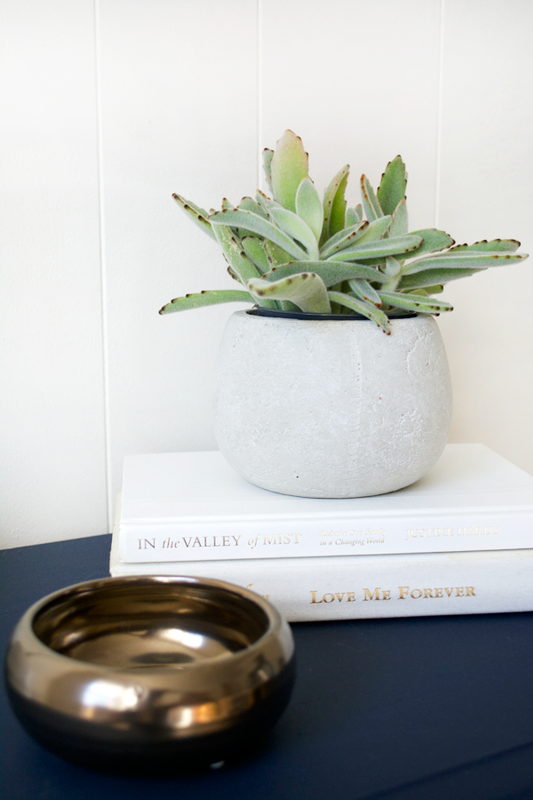 The plan was to use it as my nightstand and eventually find something similar for the hubby to use on his side of the bed. Unfortunately, we recently got a new platform bed and it’s a lot lower to the ground than I thought it was going to be and this guy just doesn’t work. I don’t think I can part with it though, so I’ll just have to find another spot for it. Here’s the awful before. Would you have picked it up, or left it for the garbage guys? I guess it really isn’t that bad, but at the time when we had just moved and I realized how much crap we had, I was trying to be reasonable and not add anything else to our stash. And seriously, what is with people putting stickers on their furniture?! I had a plan for this guy pretty much right from the start. Navy paint, new legs and new hardware. 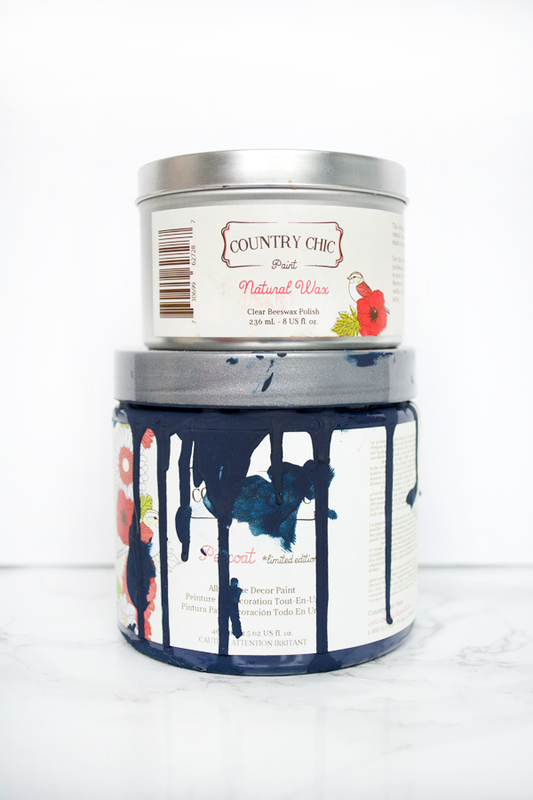 I’m picky about my navy paints. I’ve had a hard time finding one I liked that didn’t look grey or wasn’t too blue. This shade from Country Chic was perfection. 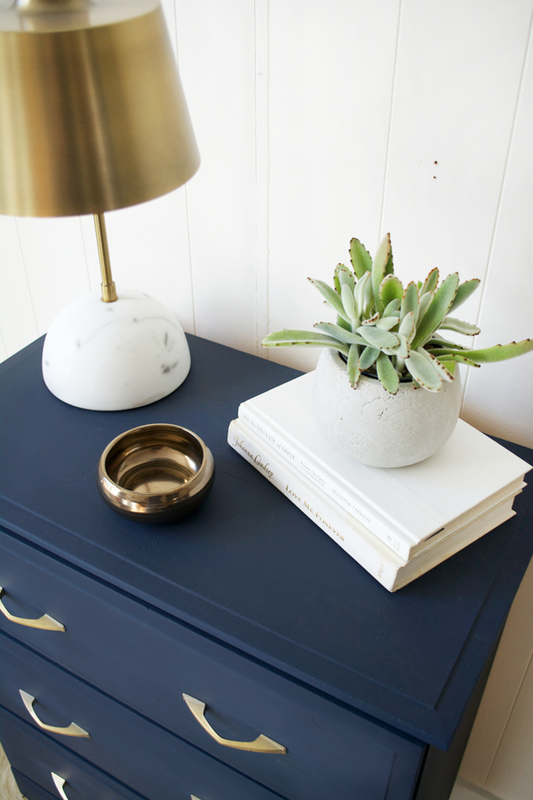 It’s from their new line of All-in-One Decor paint which says doesn’t require a top coat, but since I had plans to use this as a nightstand that I knew would get a lot of traffic, I ended up sealing it with some of their natural wax just to be safe. 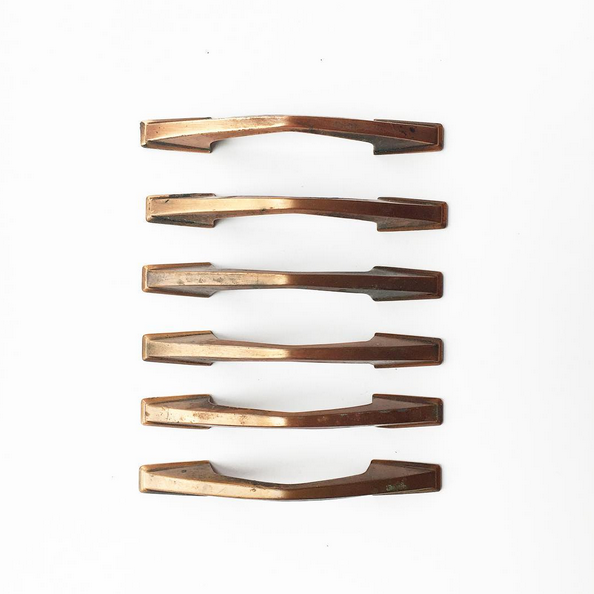 The hardware I ordered online from Etsy and I’m seriously bummed they don’t have more because I’d love to use them again. I gave them a quick coat of gold spray paint to freshen them up. The legs I also bought online from Home Depot here and gave them a couple coats of stain and sealed them up with some poly. What do you think? Would you have rescued this piece? What would you have done to it? 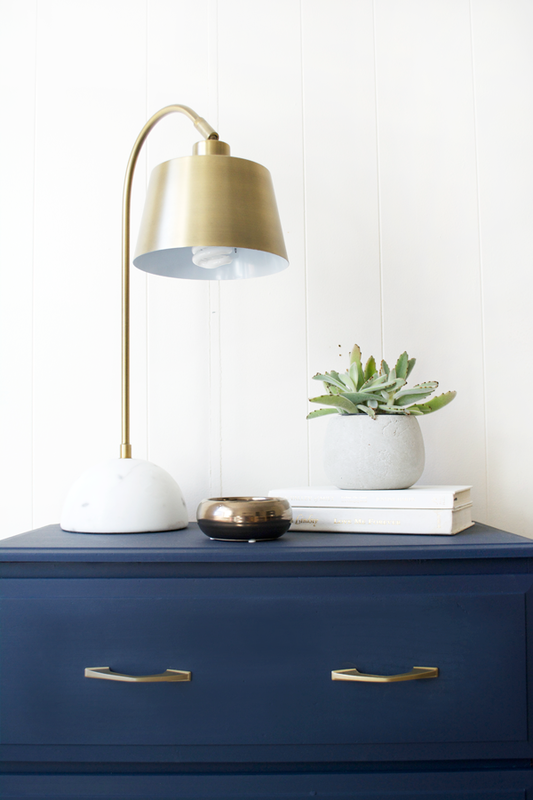 Paint for this project was provided by Country Chic. Thanks for supporting the brands that allow me to keep creating! 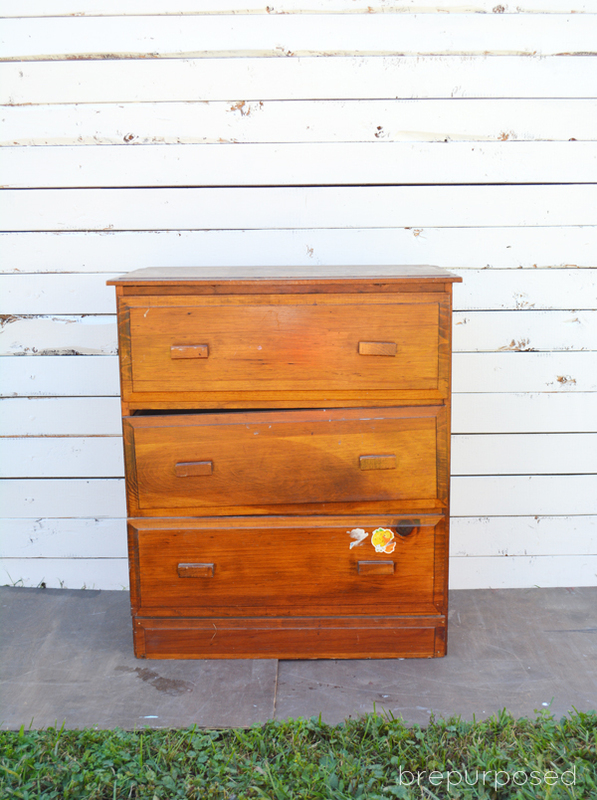 Do you ever sell the furniture you repurpose? 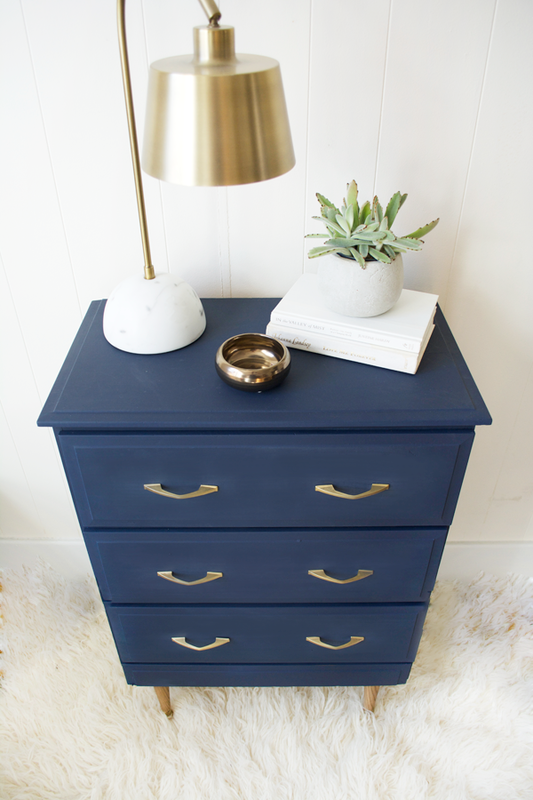 Bre I have the same night stand as this navy one and am making it over just like you did. I need to know how you attached the legs to the bottom. Do I just screw them into the wood or do I need extra hardware to attach them to the night stand? Hi Dorothy! So cool! For mine there was enough wood underneath to just screw the legs into the nightstand so you should be ok! If it doesn’t look like there is anywhere then you can always add some extra wood. Thank you so much, Bre. There is enough wood underneath and I will be able to screw the legs in. 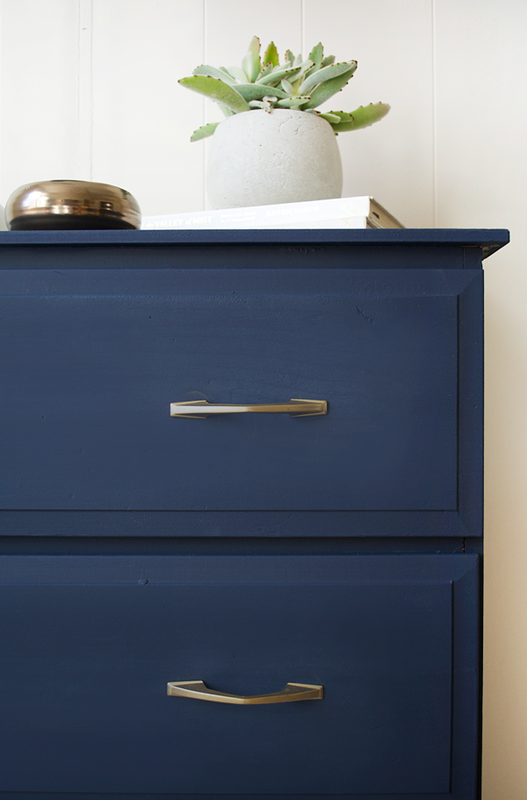 Please can you tell us the name of this paint colour? Hi Lizzie! 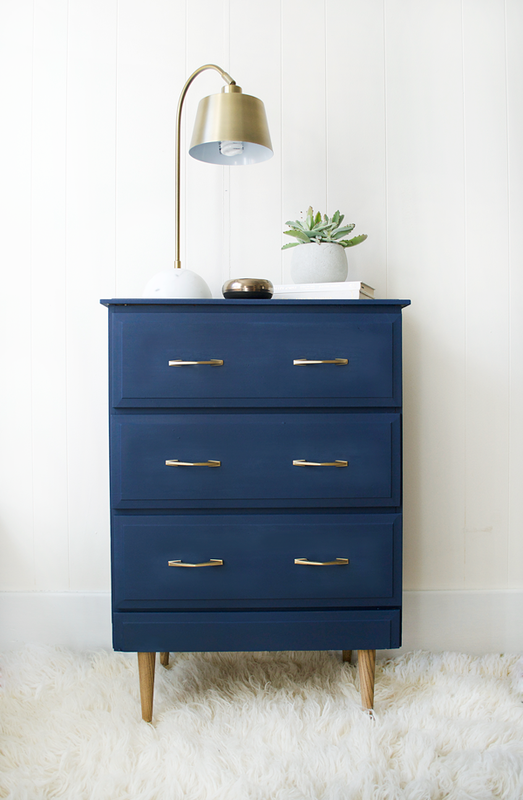 It’s called Peacoat by Country Chic Paint but I believe it was one of their limited edition colors so it might not be available right now! Oh my goodness, I have the perfect spot beside my own bed for that beauty!! It is exactly what I want. Too funny, I have been picturing navy with gold hardware. ;). Love it. It’s such a classic combo! And I wish you lived closer, I’d totally give it to you!